Have you seen the hit movie The Big Short? It tells the true story of a few clever investing pros who made a killing during the financial crisis. They figured out early on that the US housing market was a house of cards and placed bets to profit from its collapse. When it all came crashing down in 2007–2008, they walked away with more than a billion dollars profit. The guys who pulled it off are revered as living legends, financial heroes, investing gods. Why? Because anyone can turn a profit in a bull market. But these guys made a fortune while almost everyone else was losing money. In this article, I’ll show you how to make money this year no matter where markets go. I’ll explain the two key things I look for in stocks that allowed me to generate a 120% profit during stormy markets. If you’re worried about where the market is headed this year, this article is for you. From late September to Christmas Eve, the S&P 500 plunged 19.8%. The Nasdaq suffered its worst December ever. The S&P had its worst December since 1931. 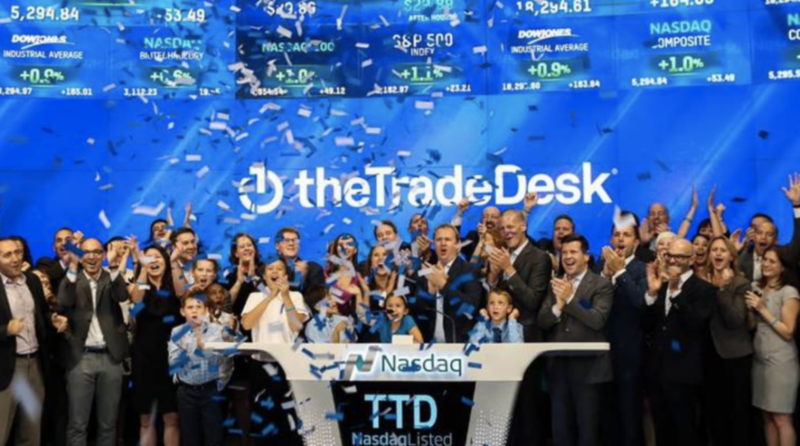 Meanwhile, a little company called The Trade Desk (TTD [NSD] – $194.35 5.55 (2.94%) was quietly chugging along.